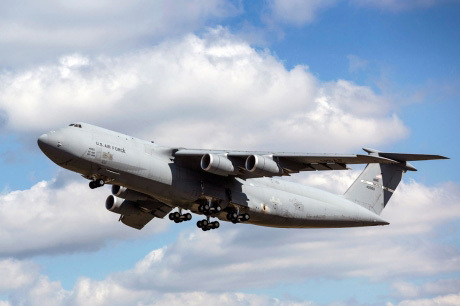 The 31st Lockheed Martin C-5M Super Galaxy takes off on its ferry flight Oct. 23, 2015. Lockheed Martin delivered the aircraft to the U. S. Air Force on Oct. 23. A crew from the 22nd Airlift Squadron at Travis Air Force Base, Travis Air Force Base, Calif., ferried the aircraft from the Lockheed Martin facility in Marietta, Ga., to Stewart Air National Guard Base, N.Y., where it will undergo internal paint restoration. 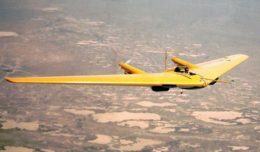 Once paint restoration is completed, the aircraft will then be flown to Travis. It will be the 13th Super Galaxy assigned to the base near Fairfield, located between Sacramento and San Francisco. The aircraft (U. S. Air Force serial number 84-0060) as originally delivered to the Air Force in April 1984 and has recorded approximately 20,930 flight hours over its career.